This is a sponsored post; All opinions are my own.Have you heard of The Great Chicken Challenge? 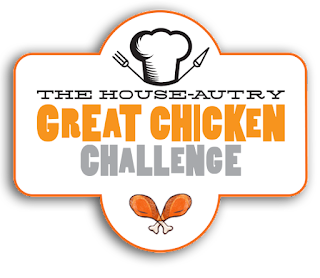 House-Autry has launched this fun promotion to create the most delicious chicken recipes in the country with the help of fans, and anyone can submit a recipe until November 9th. 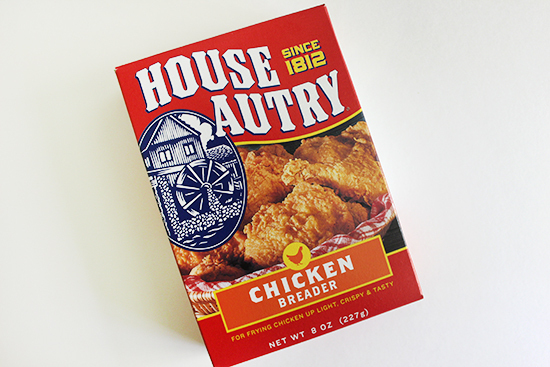 You may have seen the House-Autry brand around your grocery store; They're known as "The choice of Southern cooks since 1812" and carry a wide variety of breaders, cornbread, biscuits, hushpuppies, grits, and sauces. If you're a fan of Southern food, they're a must-have! Take the chicken breasts, cut them cross ways in half, then with a slender blade knife slice a pocket in the chicken breast. Stuff with one slice of the buffalo mozzarella. Repeat this with the remaining chicken breasts. In one bowl combine the eggs, and water. In a separate bowl combine the House-Autry Southern Baked Chicken mix and the parmesan cheese. Dip the chicken in the egg mixture, coat evenly, and then coat the chicken in the House-Autry mix. Transfer the chicken to a sheet pan with a baking rack; repeat this with the remaining chicken. Bake the chicken for 20-25 minutes. 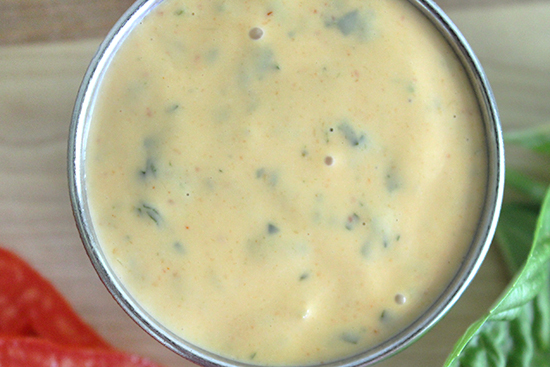 For the sauce: Mix the basil puree and Bold and Zesty Dippin’ sauce until well mixed. To assemble: Slice the Knot rolls in half. Slice each portion of chicken into 3 pieces, and then lay on the bottom of the sandwich knot. Put a slice of tomato on top of the chicken, season the tomato slices with salt and pepper. 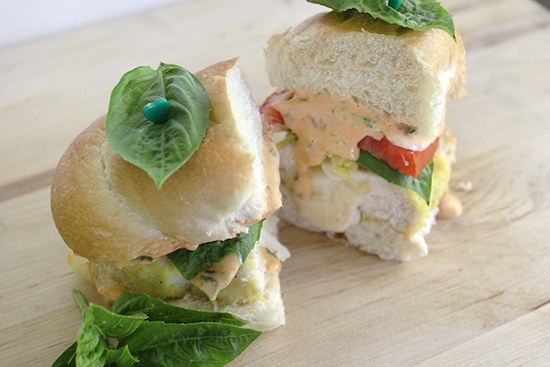 Garnish with the desired amount of fresh basil leaves, spread the Bold and Zesty Basil Sauce on the top bun of the Sandwich knot, and enjoy! I couldn't find the House-Autry Southern Baked Chicken Mix in my grocery store, but their fried Chicken Breader has instructions for oven-frying on the back, and I have to say, it did a great job! Watch my video on How To Stuff a Chicken Breast for Minimum Melt-Out here. The revamped ingredients were perfect! 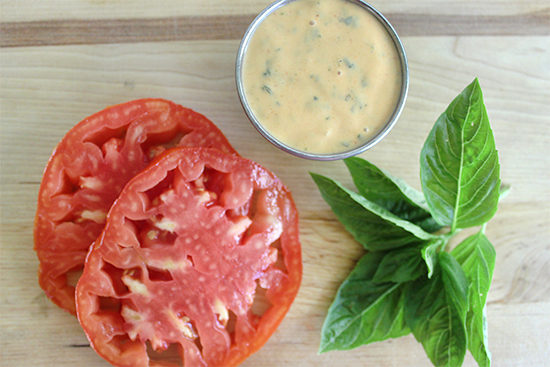 I was able to grab a ripe Brandywine heirloom tomato and some fresh Basil leaves right out of my garden for this recipe and they were delicious together! I did use a store-bought Basil puree in the sauce; You can find this in the refrigerated area of the Produce section. It was yummy and cut a step out of my prep time. Perfect! "Join us on our mission to find America's most delicious chicken recipes. It's simple, send us your favorite chicken recipe and challenge our chefs and recipe engineers to give it a new House-Autry twist. If we select your recipe, you'll win an ample supply of House-Autry ingredients plus a $100 Gift Card. Submit your chicken recipe today and don't miss the chance to win." 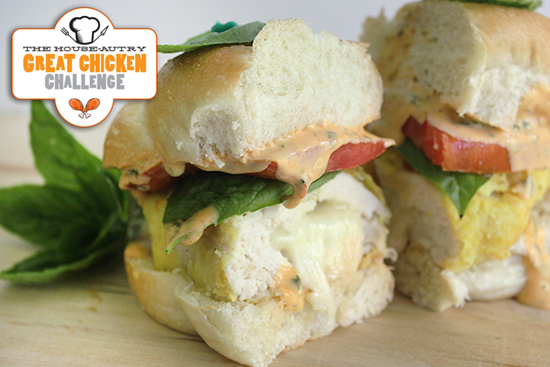 The Great Chicken Challenge is a fun way to revamp your old chicken recipes, and your transformed recipe could be featured on their website, social channels, and on the Great Chicken Challenge blog. At the end of The Great Chicken Challenge, they're compiling a one-of-a-kind digital cookbook, featuring all the great recipes from the challenge and a few other surprises. The cookbook will sell for $5 with 100% of the proceeds going to the Military Missions in Action (MMIA), a nonprofit organization with a commitment to assisting disabled veterans as well as supporting active servicemen and women. I can't think of a better cause! So submit your recipe today until November 9th for the chance to win great House-Autry products and a $100 gift card, and help support our veterans all at the same time; It's a win-win! Have you ever used House-Autry's products? 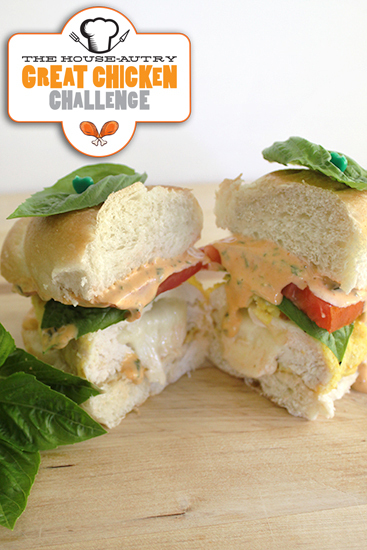 Will you enter a recipe in the Great Chicken Challenge? What's your favorite Southern dish? I love to hear your comments!